Your retirement life should be as smooth as possible. Enjoy most of it in a comfortable home that you can be proud of. Choose Orange Blossoms Villa, LLC. Orange Blossoms Villa, LLC is an assisted living facility that consist of four residential care homes. We offer our residents a safe place where they can receive the appropriate care and stimulation which will result to living a better quality of life. We provide individualized assisted living services, while also retaining our residents sense of independence. Our commitment to the residents we serve is to provide the highest quality of individualized assisted living care. 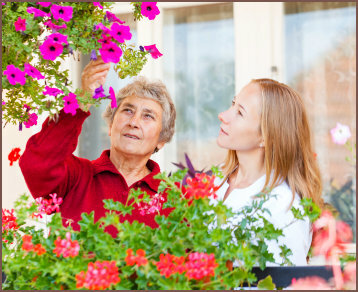 Orange Blossoms Villa, LLC aims to ensure the overall well-being of the residents in our assisted living facilities by meeting their physical, mental and emotional needs, while maintaining their independence and by respecting their right to privacy. Planning to visit our location soon? Find out how to get directions. We take pride in our senior care staff. Get to know them more.